planetf1.com • View topic - Is Motion possible without Friction? Post subject: Is Motion possible without Friction? A thread on the F1 section got me thinking about friction: how it works and what the repercussions of its absence would be. Simplistically speaking, a completely friction-less environment would mean a completely traction-less environment. So nothing would move attached to a surface, as no surface can adhere to another in such a scenario. This should mean cars don't move on tarmac, engines don't turn, even nuts and bolts don't stay in their places. You get my drift. Or is there something I'm overlooking, and motion is actually possible without friction? Post subject: Re: Is Motion possible without Friction? Well rocket motion doesn't depend on friction - does it? I was about to suggest reaction. How does thrust get generated? Hypothetically, if you had no traction to push against something (internal or external), how would you generate thrust to propel the rocket? It expands filling the whole chamber and 'squirts' out, with or without friction doesn't it? Would that be displacement? does that still require friction? Rockets work just fine in a vacuum where there is effectively no friction upon the body of the spacecraft thus I think Newtons laws of motion seem to work just fine even without friction .. The simplest example that I can think of is compression or expansion, such as breathing, doesn't require friction to move air. Newton's third law ....For every action there is an equal and opposite reaction.The hot gas blows out the rocket nozzle in one direction, that forces the rocket in the other direction. But couldn't someone from a world where there IS friction, invent all the necessary stuff to make a rocket and then launch it into an environment where there is no friction - where it would work? I didn't intend this to go the 'rocket' way, but never mind. I've had a chance to read up some material. It's pretty intriguing and brought me to another question. Is friction the only source of adhesion? In an absolute friction-less scenario, there would ideally be no adhesion either. Or will there? If there isn't, will everything disintegrate into a random mass of its smallest building block? Or is there another force(s) that will hold things together? It all depends on things that nobody really understands about the nature of what causes friction in the first place. If there was no gravity (another physical phenomenon that nobody really understands) would some types of friction instantly disappear? Does a "hook and eye" work by friction - or is it just that there'd be no way to attach it to anything without friction that would cause it to fail? There could still be things like an "interference fit" without gravity but what could cause friction to not exist anyway? Things with rough surfaces and a force attracting them to each other would be difficult to slide across each other in a frictionless way. A hook and eye does not work by friction. Interference fits would not work. Stickle-bricks don't work by friction (although I would suggest friction has a small part to play in keeping the blocks together so they don't just slide apart in the direction of the "stickles"). In your example of football studs or running spikes, it depends on the surface upon which they're being used. If the surface upon which they were being used was perfectly flat and non-deformable (e.g. glass), then they would be friction devices. Then, if you take away friction they don't work. If the surface upon which they were was deformable (e.g. soft dirt), then they would not be purely friction devices, there would be Newton's 3rd Law at play as well. edit: Just to add, the formula for friction is Friction = u R where u = coefficient of friction between the objects (with 0 being frictionless and 1 being rigid (e.g. if the two objects were welded together)), R = normal reaction force (e.g. how much force you are pressing the two objects together with). So, flyboy, if you had a frictionless environment (with u = 0), it wouldn't matter how much force you pressed the two objects together with, they would still slide apart at the slightest provocation. Last edited by qczhao on Mon May 27, 2013 2:35 pm, edited 1 time in total. 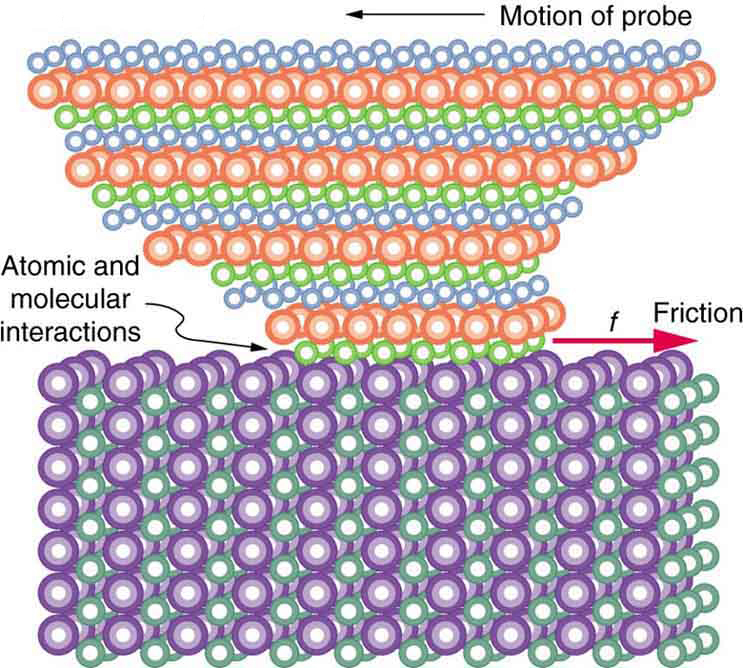 Friction is not a fundamental force and also not the only source of adhesion. If you melted two bits of metal together, they would stick to each other irrespective of friction existing or not. Glue (e.g. superglue), works through chemical bonding and not friction so it would not be affected either. Forces 1 and 2 work on a sub-atomic scale and are responsible for interactions on that scale (e.g. the strong force holds atoms together and the weak force is responsible for radioactive decay among other things). Force 3 - Gravity, works on large scales and arises due to the mass of the object. Still, its not responsible for friction. Force 4 - Electromagnetism, covers electricity and magnetism which are actually incredibly interlinked. Is the basis for friction. Now, if by removing friction you suggested removing the electromagnetism force entirely, then that would mess with the universe. Without electric or magnetic fields, we would not have electricity or even light (or any other EM waves such as radio waves, microwaves, gamma rays etc etc) to name but a few. Well, even for someone who knows as little as I do, I have to question this response. Stickle-bricks don't work by fiction but they do, in the same sentence - so which is it? How many surfaces are perfectly flat and non-deformable (certainly not glass which is a fluid) which is why it would be difficult to completely eradicate friction from the physical world? And you've sort of made my point about the stickle bricks which was that when the stickles are really long (same as the football studs) it's not friction that's happening perpendicular to the stickles but at what point would really short stickles BECOME friction devices in the perpendicular direction and at what point after that would there be either insufficient length of stickle or insufficient force of attraction to stop (or cause) the bricks from sliding? Still plenty to learn about everything in the physical and scientific world. Anything that anyone believes is well understood is surprising us all the time. As long as we still had gravity we would still have Accretion of various strengths. We dont get it much on earth due to friction, but if things dont stay put, we would. As I've understood it, friction is just normal forces (N) at microscopic level working against the object. Electromagnetism is the basis for normal forces (no two object are ever in true contact because of the electromagnetic force repelling them), and if we take electromagnetism out of the picture matter would start to merge which would lead to phenomenons I can't even start to imagine. But I think there would still be some kind of counter-force between two objects because of the strong interaction so to remove friction altogether I think matter couldn't interact at all and would be completely permeable. I'm reading more about it, though it's slow progress alongside a fairly demanding full-time job. Keep the ideas going folks. I never cease to be amazed at the quality of intellect of some posters here. A couple of points mentioned here are worth researching by themselves. I'll be back with more questions. Friction is just a mechanical action, as a result of molecules not playing well with each other. Take a Formula One car, and the friction that acts on it. There is air friction, as the car attempts to push it out of the way. There is mechanical friction, the wheel bearnings spinning freely, but not perfectly. There could be a brake pad just slightly contacting a brake disk, more friction. There is the tires rolling against the road surface, and everything on the drivetrain, all the bearings, seals, and intermeshing gears all each contributing to the total friction of the powertrain. And don't forget the fluids splashing against moving parts, more friction., as well as the pistons sliding up and down the cylinder bores. So we have friction on the surface of this planet. And we do build rockets that launch into space, where friction is negligible. How do rockets work? Imagine you are standing on a completely frictionless surface, and throw a heavy object in one direction. Because you sent a mass in one direction, your body would be pushed in the opposite direction. That is the same with a rocket, it does not "push" against anything, it just throws hot gases in one direction, and the rocket is forced in the other direction.That is why a rocket can work in a vacuum, zero gravity, and devoid of friction as we know it. We push satellites into space, and once up there where friction is almost zero, they circle the earth, just going around and around. So, that's your way of saying yes and agreeing with me then! Motion can work where there is no (or negligible) friction. However, creating the devices that move through a frictionless environment appears to depend upon friction so can there really be motion if there was no such thing as friction? What kind of motion was there just before the big bang? Was there friction before the big bang? Was there motion after it? I don't think Newton's third law (and hence rocket propulsion) would apply without electromagnetism which is the basis for friction. Interesting point about the satellite there. From whatever I've gathered on the subject, a satellite (at least a man-made one) is launched with a certain velocity to a height calculated such that it's trajectory while falling back to earth under gravity matches the earth's curvature, which is approximately a 5m vertical fall per 8000m horizontal displacement. This is what keeps the satellite perennially in-orbit, unless forced artificially (through on-board thrusters, for example) to change direction (fall out of orbit). About the rockets, since they basically depend on combustion for thrust (and Newton's third law for motion), doesn't it make them dependent on friction too? Is combustion friction-less? I believe light doesn't need friction or I'm missing something? Beside that it's all relative. I'm talking about the two different ways you can apply force to two sticklebricks that are stuck together. If you were to apply the force so that you were trying to pull the sticklebricks apart vertically (i.e. along the length of the stickles), then it would be friction that resists your pull. Therefore if friction did not exist then you'd be able to pull them apart with no effort. If you were to apply the force horizontally (i.e. try to slide the two sticklebricks sideways past each other), then it would not be friction that plays a part, because the diameter of the stickles themselves are bigger than the gaps between the stickles, the resisting force is a normal force that has nothing to do with friction. Please let me debunk this myth now, glass is not a fluid. If you are referring to the effect of antique windows having a thicker base than the top then that is due to the production processes employed by glass makers at the time. Glass definitely does not flow at room temperatures, it is a solid. Yo're right, it is difficult to completely eradicate friction from the physical world, and of course you'll not be able to find surfaces that are perfectly flat and non-deformable in the real world. But for the sake of trying to explain what might constitute a friction device and what might not, I introduced this idealized concept to help you understand. OK. So what you're really asking is how friction arises at atomic levels. When we get down to these levels, semantics come into play as well because what we call friction at the macroscopic level, is really just application of Newton's 3rd Law at the microscopic level. When you put two materials together, only the tips of the asperities come into contact. When you try and slide the materials past each other, it is like trying to slide two sticklebricks past each other when you've only pushed them together a very very slight amount. The asperities are like the "stickles" and they will deform elastically to let the surfaces slide past one another, but it takes a force to make them do so, this force is what friction is. When you increase the contact force, you crush the asperities down and more of the two surfaces come into contact with one another, which is like pushing the two sticklebricks more deeply together. It then increases the force you need to deform the asperities and therefore increases the friction between the two materials. Now, what if we were to somehow make a material that had a perfectly smooth surface, with NO asperities. What if we put two of these things together and slid them past each other? Would they be frictionless because there are no asperities to deform (e.g. no stickles at all?). The answer is still no, and to find the reason we need to look on an atomic level. The above image is a diagrammatical depiction of how atoms are arranged in iron. In all solids, atoms are placed in a regular lattice structure which are similar to the one in the diagram above. 1. Electrons - these have a charge of -1 eV. 2. Protons - these have a charge of +1 eV. 3. Neutrons - these have approx. no charge. Protons and Neutrons sit in the centre of the atom (like the sun in our solar system), and electrons orbit around it (like the rest of the planets). This is getting into the realm of things that are still under investigation. The theory that I'm most familiar with says that when you slide atoms across each other, there will be small electromagnetic forces acting (electrons will repel each other, electrons in one atom can be attracted to the protons in a different atom). These excited electrons then dissipate their energy by vibrating the lattice structure of the atoms that are around them. It is the atomic equivalent of bending the stickles and this dissipated energy is what leads us to require force to move the materials past each other. However, as I've said, this is an area of investigation and I don't believe we know the fundamental cause. You're correct in that we don't know the fundamental first principle reason - however, given that we've not yet discovered the Grand Unified Theory you could argue that we don't know the fundamental first principle reason for anything . However, I should have been more clear with my original point: we understand friction well enough to be able to apply it in pretty much any engineering context, and that to me says that it is well understood. I think we're mixing up some scientific facts with some wild misconceptions. Rub your two hands together, feel the resistance. that's friction, period. One result of friction can be heat. keep rubbing your hands together briskly, and they get warm. Now let's deal with rockets and Newton's third law, which states that for every action there is an equal and opposite reaction. If you and a friend stood on skateboards, and pushed against each other, you would separate and be pushing apart. Now, if you substitute throwing gas in one direction, the same thing is happening, the rocket is going in one direction, the rocket exhaust is going in the other direction. What was before the Big Bang? Take two aspirin before you read this.. Most of us think of space as having the three basic dimensions with time as the fourth just marching on. But before the big bang there was no space, no time, nothing, not even three dimensions. Nothing. Not even time. Its called static friction, as opposed to kinetic friction. Kinetic friction is the force which decelerates an object as it slides along a surface. Static friction is what make the tyre stick to the track while it is in rotational motion because there is only one point of the tyre on the track at any time. Isn't static friction also the thing that stops you pushing stationary objects from rest? At the moment you overcome that and , let's say, your wardrobe starts sliding across the carpet then it's now overcoming a different frictional force (in order to keep moving) which may be less than the static force? What I find fascinating is, how does it know? Also, if I'm pushing my wardrobe and it won't move, there's a frictional force equal to the amount or force I'm exerting. So I push harder and it still won't move and now the frictional force is greater. So, again, how does it know how much friction force to use? Futhermore, how CAN the frictional force be any different just because I'm pushing harder? It's like the universe just changes it's mind depending on what I'm doing. The answer lies in the posts above concerning friction on a microscopic level. @qczhao: I like your explanations. They're deeply considered and you appear comfortable with how much is still unknown, which is often an indication of how much you do know and understand yourself. Bravo! There is a certain level of force required to move the wardrobe. Until you can exert a force greater than that amount it will not budge. Furthermore, how CAN the frictional force be any different just because I'm pushing harder? It's like the universe just changes it's mind depending on what I'm doing. The friction being defined as "the rubbing of one object or surface against each other", I would understand this definition being applied in both cases of static and dynamic friction. Take an another example. You are standing in water up to your waist. It's static friction, hardly any rubbing even occurs. But as soon as you start moving, it changes. And that faster you try to move, that more force you apply, that more resistance from the side of water you encounter. You can't run like that through the water, can you? Because that faster you are attempting to move through the water, that more of water's "surface" (the H2O molecules all around you) is being rubbed against the surface of your body - per time unit. When we jump into water from a couple of meters, we have a good fun. But if to be dropped into water from a few hundreds of meters, the water would effectively be as good to us as the concrete. So much force would be generated almost instantly from the side of molecules in water in order to encounter the high speed of our bodies to move through. This "rubbing", in that case, would be so high and dense that it would kill us in one single "splash!". Otherwise, the static friction is not the only thing stopping you from pushing the stationary objects from rest. It's gravitation. Say, you have the ice as the surface that your wardrobe is standing on. You certainly would have much easier time to push it as to compared to some other surface (providing you got a good friction with the surface yourself). But say, it's a 5 tones object. And say, you got to push it up. What then? It is the force of gravitation that keeps it "grounded" in that case, even if you would discount the friction as a contributing factor. True, I can only push the other skateboarder because of friction and the concept of thrust is always the same. Consider the rocket. In a non vacuum, the exhausted molecules hit the atmospheric molecules, creating enough resistance (friction) for thrust. In a vacuum it's slightly different, but it's still all about friction. The heated gas expands the exhaust, this tries to return to it's original shape -molecular bindings and cooling effect by it's surroundings-, thereby creating friction (between the gasses and the exhaust). As the rocket meets no environmental friction, this is enough for thrust. Where else are the expanding gasses and rocket going to go? Not unlike a football, it's not the kick that makes the ball travel, the kick dents the ball. The ball wanting to return to it's natural form (pressure) is the only reason it travels (it can't do so in the same spot, as the foot carries more kinetic energy -try kicking a cannon ball-). Consider a sailing boat, the wind just 'bends' the sail. The sail trying to return to it's original shape makes the boat move. In F1, engine, aero, trannie et all make the tyres try to push the road away, the surface offers enough resistance to force the tyre to move, rather than the track *not intended as an opening for a tyre debate. Back to OP: yes, motion is possible without friction, acceleration however is not (ignoring gravitatitional pull from other objects). Things attempting to return to their "original shape" is not cause to move things. In the atmosphere, the presence of air is negligible, and in fact the skin drag and aerodynamic friction is greater than the reaction of exhaust gases pushing against the air. It's all about action and reaction. If you kick a ball, it will still be deformed after it leaves your foot. All you are talking about is deformation, not friction. 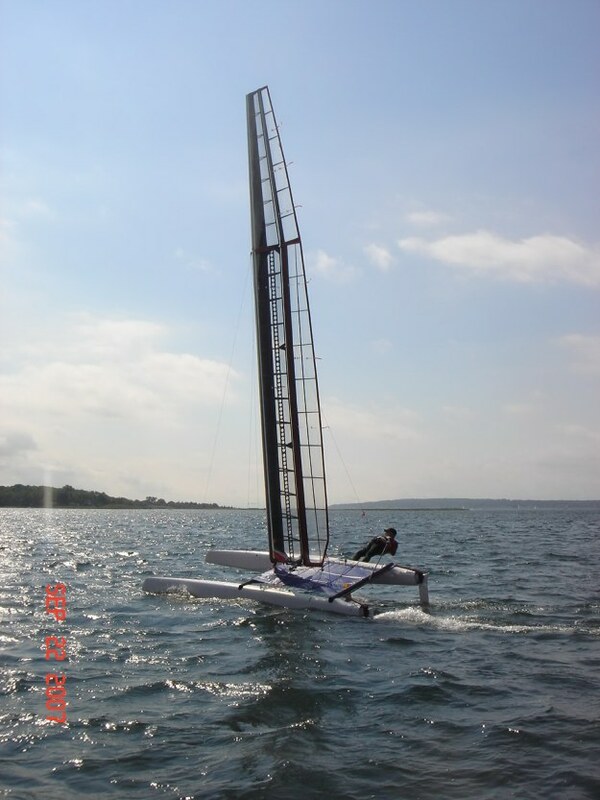 The same with a sailboat, the sail is stretched to a form, and then that form is used to capture the energy of the wind. You could do the same thing with a rigid form, also known as wings. Acceleration is definitely possible without friction. Again, there is no accelaration without friction. None.